“Education is the most powerful weapon for changing world”. With an aim to provide digital learning experiences, we provide innovative Content Management System (CMS) for Schools, Colleges and Universities to help them to set-up a CMS based website that is quick and easy to access. 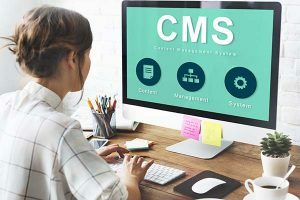 It is quite difficult to manage emails, attendance of students, staff payments, exam results, and calendar activities, but our CMS can manage all these processes in one. Our innovative and feature-rich CMS streamline the complete management process and provide seamless user experiences. It offers flexibility to build websites for educational organizations efficiently. We provide an agile platform for managing engaging websites and customer experiences. Our CMS solution provides users clear idea in managing everything easily and effectively. Be it a highly interactive or simple user-friendly CMS, our team has in-depth expertise in developing and delivering self-managed portal that covers each and every requirement.